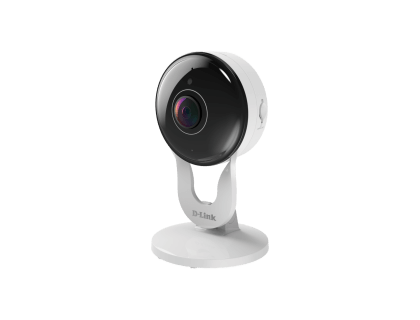 Learn more about the D-Link Full HD Wi-Fi Camera DCS-8300LH security camera with reviews, pricing, features and frequently asked questions. The D-Link Full HD Wi-Fi Camera DCS-8300LH is a security camera from D-Link that allows for remote viewing and voice control. The camera also makes it possible to have a 2-way audio channel. Buy it on Best Buy. Pros: Good image quality, wide-angle viewing, Smart Assistant (Alexa, Google Assistant). Bottomline: Great indoor security camera for in-home or office surveillance. Where is the D-Link Full HD Wi-Fi Camera DCS-8300LH user manual? You can access installation instructions and how-to videos by going to support.dlink.com. When will the motion detector in the DCS-8300LH be triggered? Any motion that is within range of the camera's view will trigger the motion detector. Occasionally, environmental changes like lighting may also trigger the motion detector. Can I use the D-Link DCS-8300LH with Google Home? Yes. You can sync the camera with your Google Home device via the Google Home mobile app. Can the camera send notifications to my phone? Yes, you can opt to receive push notifications if you have the mydlink app on your mobile phone. Is video footage from the D-Link Full HD Wi-Fi Camera DCS-8300LH stored in the cloud or on a memory card? This particular camera allows users to opt for either cloud storage or for storage on an SD card. What are some D-Link Full HD Wi-Fi Camera DCS-8300LH alternatives? I use the DLink DCS 8300LH, and so far it’s been amazing. 1080p and you can talk to them. I recently purchased a dlink DCS-8300LH, but I can only view the live feed on my phone. I need a camera that works in a web browser, preferably with BASIC authentication.